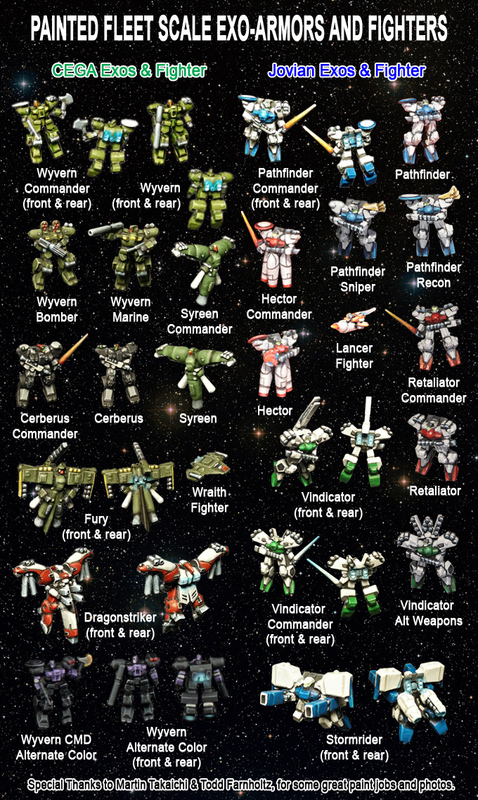 The KS is funded and there are some great add ons available – check it out! 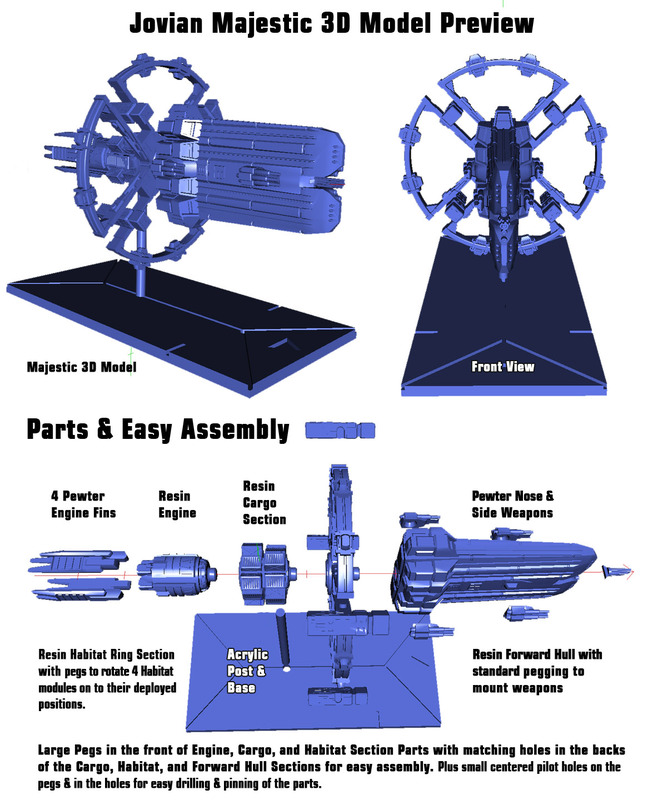 Build you fleet with new modular resin ships. 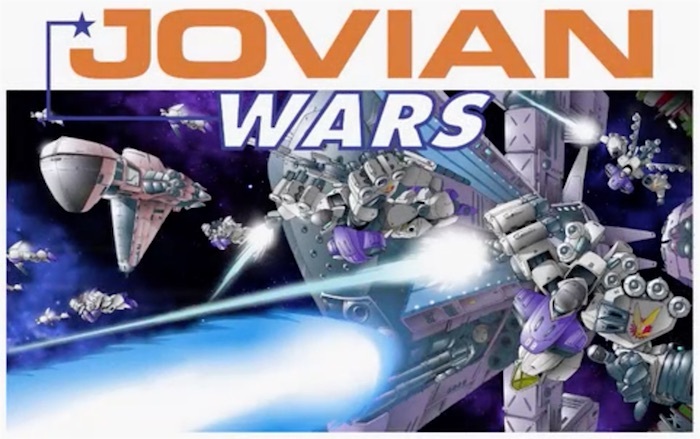 The Jovian Wars Kickstarter is to make a series of new high quality resin spaceship miniatures for the Jovian and CEGA factions of the Jovian Wars – Tabletop Wargame. 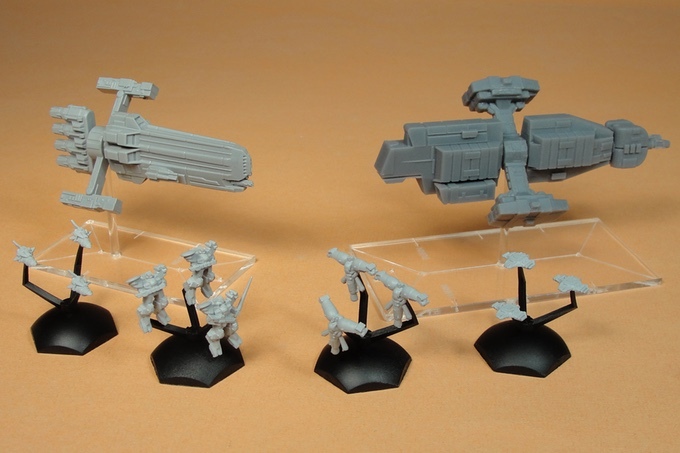 These new spaceship miniature will be 1/4000 scale (about 3″ to 5″ in length) with the larger parts cast in high quality grey resin, smaller parts like the weapons and engine fins cast in pewter. They will each include a stand that will be laser etched and cut clear acrylic base with clear acrylic post. Checkout our proof of concept photo below with the remastered Poseidon for CEGA and Valiant for Jovian, to see how the final spaceships will look on their acrylic bases and acrylic rods, shown with a few of the pewter fleet scale exo and fighter squads primed in grey on their bases in front.